Lately it seems like vegan options are popping up on menus far and wide, from big chain restaurants to local favorites. And according to a new study, an impressive 51 percent of chefs in the U.S. have added plant-based menu items in 2018 alone. This should come as no surprise. As more people discover the horrific animal suffering and environmental degradation inherent in the meat industry, they’re ditching meat and other animal products in favor of plant-based foods. Food producers are taking advantage of this increasingly profitable market by adding more vegan options to their menus and product lines. But apart from giving customers what they want, the move to add more vegan food is also profitable—as the last year has seen a 300 percent increase in the number of people who identify as vegans in the US. In just one year, restaurant owners saw a 13 percent increase in business in response to adding vegan options. The study also found a 31 percent increase in the number of plant-based menu items. This may be the result of the growing number of vegan Instagrammers. Photos of vegan foods on Instagram have risen 79 percent in the past year, and many influencers are requesting more plant-based foods at their favorite restaurants. And Instagram isn’t the only platform paving the way to a vegan future. According to a new report from market research firm Brandwatch that studied social media trends, 54 percent of “foodie influencers” have tweeted about veganism in 2018. This is more than double the influencers who have mentioned gluten-free and vegetarianism. With more delicious vegan options hitting markets, there has never been a better time to switch to a compassionate lifestyle. Ready to give veg eating a shot? 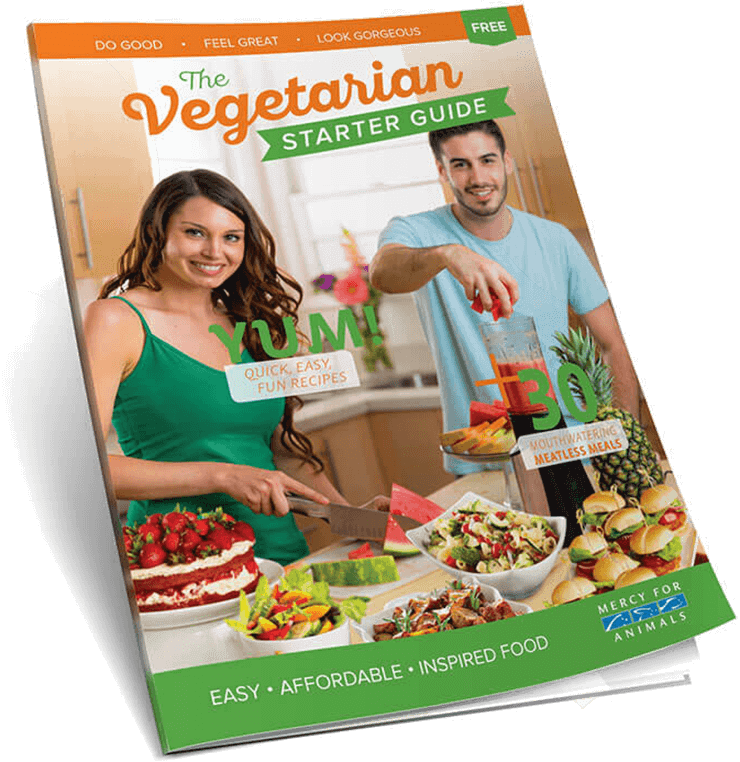 You can get amazing vegan recipes, easy meal ideas, and tips on making the switch with our FREE Vegetarian Starter Guide.